my birthday is coming up, and alicia arranged with her dad to get me a new ukulele. i’m stoked. i used to play piano back in the day, when my mom could still enforce the practicing daily. this is a particularly asian parent thing – i’ve learned from conversations with many friends. eventually, like most kids, i wore her down until she eventually gave me the ultimatum of “no practice=no lessons=my choice”. my skateboard was calling for me everyday after school, so the piano playing went out the window. i have had a few opportunities over the ensuing years to plunk away, and i think i can still remember one or two pieces from memory, but most of my music expression these days is limited to singing in the shower or around the house. i used to rock out in the car but have only just started driving again. oh, i can also sing a mean variety of dora songs, but i digress. 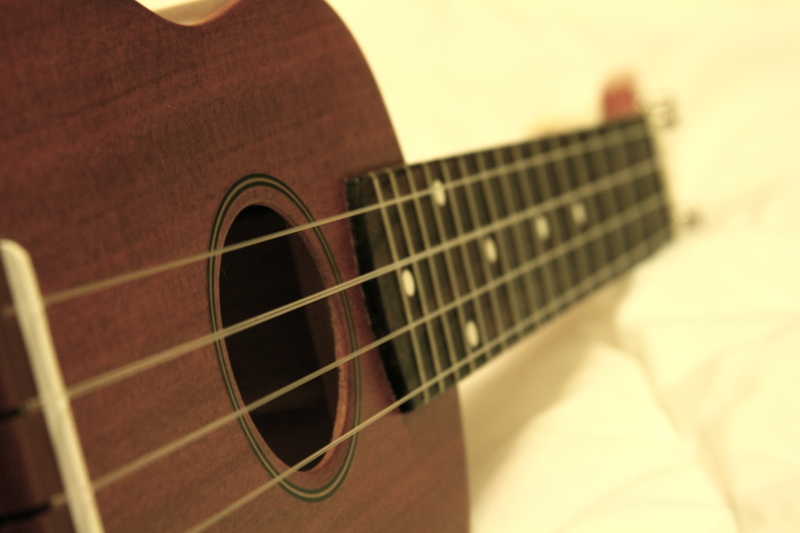 i picked the uke because it looks simple. my fingers don’t spread well over the six strings of a guitar, and i’ve seen the guys down by the ferry piers playing the single-stringed erhu, and it doesn’t look easy at all. plus it gives me that island feeling whenever i hear it – instant relaxation. so feel free to send me any tips, simple songs, etc. that you have stored away in your head. in the meantime i’ll be strumming here in hong kong. It happened to us all the time when we were kids and would go visit my grandparents. People would say some really interesting things about us and our family in our presence because they thought we didn’t understand. Of course I didn’t tell them. I’ve also run into people speaking Swahili freely here in the USA and their conversations are not usually that interesting. On second thought, wouldn’t it be fun to see their faces when you reveal that you know what they’ve been saying about you?